We’ll help put you in the driver’s seat! We understand that your time is valuable, that’s why we take the financing headaches away from you! Whether you’re buying a new or used vehicle, our typical credit approval process takes as little as 20 Minutes! We work with many financial institutions, Norway Savings Bank, Northeast Bank, Bangor Savings, just to name a few! Unlike many places, our full-time staff is helpful and friendly. We also offer financing protection plans which include Gap insurances. Your Vehicle can be well protected too with one of Chrysler’s new or used vehicle extended service contracts. 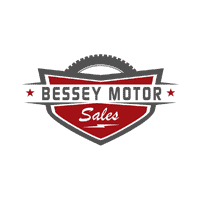 No matter what your needs are, Bessey Motors stands committed to making your vehicle purchase experience a pleasant one!